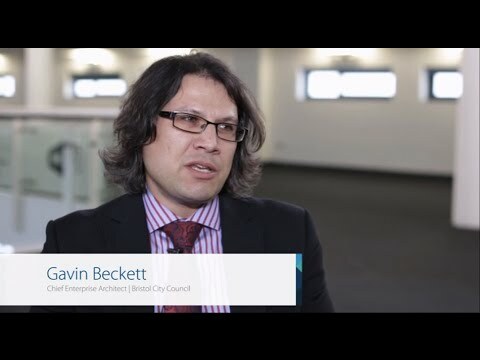 Our digital service platform is seen as a significant improvement to both the customer's experience and the ability of staff to focus on the important task of supporting the citizens of Bristol. With a population approaching 500,000 Bristol is the UK's 8th largest city. The city council, like most local authorities, has the difficult task of providing a broad range of services to a very diverse community. This task is made all the more difficult as budgets are squeezed and the pressure to optimise spending becomes ever greater. Bristol City Council recognises that the best and most cost efficient way to ensure continued access is by moving appropriate services to an online platform for all those who are able to consume them digitally. To achieve this goal the aim is to ensure that the level of digital service provided is so good, that people prefer to engage online. The entire customer journey, end-to-end, needed to be tracked, analysed and reengineered. The aim was to allow both the user and the council's customer service staff to have a single view of the process and easily see what was required to complete the journey successfully. The underlying platform needed to be able to handle the level of transactions required and to do this securely and efficiently with a responsive customer service. It also needed to be flexible and feature rich, to meet the needs of its diverse customer base as well as those of the council and its staff. User interactions can originate from anywhere, so the service needed to be designed with the mobile user in mind. To this end a responsive design was implemented, that matched the user experience across multiple devices and gave a consistent user journey that might incorporate multiple devices in a single transaction. Bristol has spent time understanding these requirements and researched the market to find the best solution to meet them. It chose Liferay as the core of the digital services platform for its open standards design, open source flexibility and enterprise level support. Liferay provides the organising framework into which all new digital services are plugged. This service oriented approach, with loosely coupled systems, allows the council to optimise existing and legacy systems, whilst future proofing its ongoing strategy through an open framework ready for new technologies as they come along. With the work on the foundation platform framework now complete, Bristol is able to start delivering in earnest on its channel shift approach by continuing to roll out new digital services at an increasing rate. Their decision to base this platform on Liferay is paying dividends as they begin to benefit from this strategy. Ultimately Bristol City Council has a clear vision and strategy now on how best to meet the changing needs of the growing demands for high quality service provision and a reducing cost base. Meeting the needs of both the organisation and the community it serves. Bristol's new digital service platform, built on Liferay's leading open source portal technology, is at the heart of this process and the cutting edge of digital services in Britain today.